Its an easy trap to fall into, and one I've personally fell pray to on several occasions. Lets face it, the weekend can present the perfect opportunity to 'Catch Up', the phones are quiet, most of the staff are at home, what could possibly go wrong? It goes without saying that focusing on the business is vital for creating real success. But that doesn’t mean that you can neglect your personal needs. If you own a small or medium-sized business, particularly in the Lift Industry, the risk of burnout is very real, and it happens more than you think. With that in mind, we’ve collected a few useful tips to help you prevent burnout and to keep pushing your business forward. So what exactly do we mean by ‘burnout’? No, it has nothing to do with cars. Well, not in this context, anyway. Burnout is a psychological (and sometimes physical) manifestation of overwork and intense stress. Funnily enough, those most at risk of burnout are those who have the best of intentions; they want to help every customer, answer every question, provide every service. Unfortunately, there’s a limit to how much one person can do, and when it's reached, burnout can occur. It manifests as headaches, panic attacks, high blood pressure, and a range of depressive and stress-related symptoms. 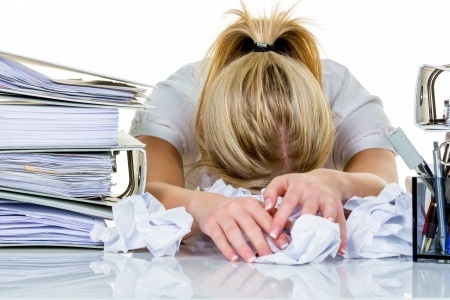 Despite the obvious need to 'complete' the growing piles of work that, for a business owner seem to accumulate on a daily basis, Its of great importance to take some time out. Productivity can actually increase by doing less. The secret to this is that you actually get more done with a fresh mind and a new approach. How many times did you toil over a problem to find that the next day the answer seemed to just 'appear!. This is the point to it all, working flat out is not the answer. First and foremost, we’d recommend that you read our in-depth article about mindfulness. There you’ll find a step-by-step guide on how to bring mindfulness into your life. The core aim is to take at least 10 or 15 minutes per day to sit quietly and focus purely on the present moment. This will prevent you from being overwhelmed by all of the things involved in running a business, and give you that breathing space. In addition to mindfulness, another way to prevent burnout is to ensure you have work-life balance. This means that despite your workload, you should always make time for things other than work. Never forget to exercise, socialise, and just generally get out and about. You might be surprised at how much of a difference a daily walk can make! So rounding up, we cant simply just drop everything each weekend, but ask yourself is it 'Really' necessary to go into the office next weekend, or can it wait until later. One thing is for sure, by taking a break you might just enjoy yourself!